Update: I corrected the headline to read “Eagle River Water and Sanitation District.” Thanks to reader Diane for the information. Concern with restoration efforts has been heightened in recent years following the Hayman Fire, widespread beetle kill and the emergence of watershed issues related to climate change — all of which have effected peak runoff flows and base flows, presenting a serious threat to the water quality and quantity, according to Brooks. More Hidden Gems coverage here. The alliance gets involved in issues that affect life in western Garfield County. It has a membership of 168 area residents, and is a chapter in the broader Western Colorado Congress. The Hidden Gems plan has evolved into a controversial battle between Wilderness advocates and forest user groups that want to preserve existing access to public lands. The proposal would place a special designation on about 400,000 acres in Pitkin, Eagle, Garfield, Summit and Gunnison counties. About 1,600 acres targeted by proponents are located in Garfield County. The [Hidden Gems Wilderness Campaign] hopes to set aside about 89,000 acres of public land in Gunnison County as designated wilderness. Five of the seven areas being considered would be additions onto established wilderness areas, and two remaining parcels would stand alone. One of the proposed areas, Whetstone, is right outside of Crested Butte and the most contentious part of the proposal for local hikers, bikers and snowmobilers. Right now, nearly 22.6 percent, or 370,000 acres, of Gunnison County’s total 1,618,000 acres of public land is designated as wilderness. The Hidden Gems proposal would increase that by 5.5 percent. 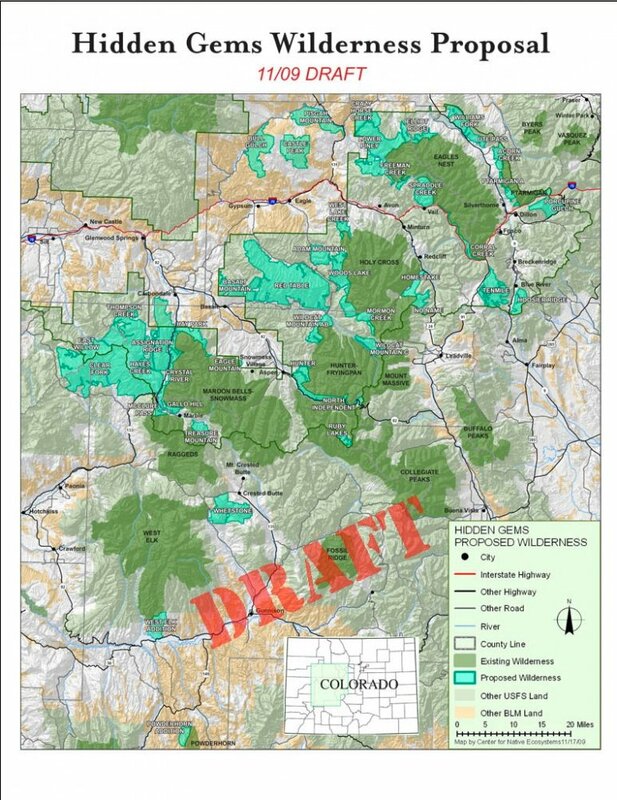 The additional wilderness areas being proposed would be added in Gallo Hill, McClure Pass and Treasure Mountain, along with Powderhorn and West Elk additions. The two largest portions of the proposal are more than 54,000 acres in Clear Fork and almost 17,000 acres on Whetstone. “It’s not easy to get equipment for repairs into the mountain areas right now, even without a wilderness area,” Bob Hamilton, engineering supervisor, told the Southeastern Colorado Water Conservancy District board Thursday. The Hidden Gems Wilderness Campaign is endorsed by more than 40 Western Slope environmental or recreational groups. It seeks to create new wilderness with 14 new areas and 26 areas adjacent to current recreation areas in the White River and Gunnison National Forests and adjacent Bureau of Land Management lands. 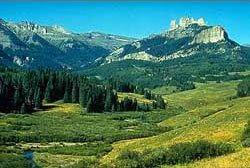 The wilderness areas are in Pitkin, Eagle, Gunnison and Summit counties. If maps by the campaign were adopted, three of the areas adjacent to The Hunter-Fryingpan and Holy Cross wilderness areas could restrict repairs to the Fryingpan-Arkansas Project collection system, Hamilton said. “It interferes with existing or deferred parts of the north side collection system,” Hamilton said. “It’s a threat” Creating the wilderness areas could also hinder collection efforts for other importers of water like Colorado Springs, Aurora and Pueblo Board of Water Works, including the Busk-Ivanhoe system. In a wilderness area, activities like mining or constructing roads are curtailed. 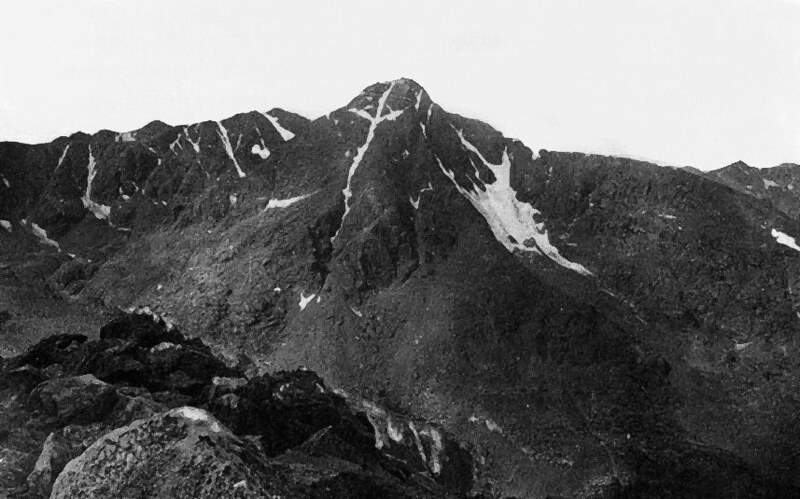 The language of the federal Wilderness Act also forbids “establishing or maintaining water facilities.” When legislation created the Hunter-Fryingpan Wilderness Area east of Aspen in 1978, corridors along streams were carved out for maintenance of the Fry-Ark Project. In the Hidden Gems proposal, the Wildcat Mountain area would be added to that wilderness area and would have to include the same provisions to be acceptable to the Southeastern district. The Mormon Lake and Woods Creek areas would be added to Holy Cross, which does not have the same sort of carve-outs however, attorney Steve Leonhardt told the Southeastern board. More Fryingpan-Arkansas coverage here and here.